Manifestation is more than wishful, or willful thinking. You must choose who you are going to be, and what you want to do/happen and live your life that way at all times. For example, if you want to become a travel blogger you must begin to lead your life, and think of yourself, as a travel blogger. You see, in order to take inspired actions and manifest that goal, you must act and think as though you are already there. When you are in alignment with yourself, the universe will flow to you, and through you. In return you will feel more in sync and encounter more opportunity than if you had waited around for something, or someone else to propel you into your desired realm. But, how do you know your manifestation is working? Below we will discuss the signs the Universe will present you when you are on the verge of a breakthrough. When you manifest your desires the universe will begin to speak to you through other people. Yes, through OTHER people. Imagine you had been scoping out a new area in town and you want to move there. Now imagine someone you know (or a stranger!) says “Hey did I see you on ____ Street yesterday? I could have sworn I saw you taking out the trash” and you know for a fact that the person they saw was not you. Or let’s say you have been thinking about writing a book/blog/etc but you haven’t told anyone about this aspiration of yours. When you’re close to your breakthrough, someone may say something in conversation along the lines of “Ive noticed you’re really passionate about _____. You should really write a book or something.” Do you see where we’re going here? When you’re close to manifesting your success, the universe will use other people to speak through you to confirm that you are on the right path. The universe may show you that you are on the right track, or on the edge of a breakthrough by giving you a strong sense that something is going to happen to you soon. Have you ever just had a feeling, or felt that you already knew something was going to happen before it occurred? This is a manifestation sign. When you get this intuition about something you have been manifesting, it is a big sign that your manifestation breakthrough is on its way. Don’t get confused though – you may have a feeling that something is coming, but the signs, or evidence, in your life can still be pointing in all the wrong directions. Just because something seems as though it’s not going to go your way, your intuition is not wrong because the future is not determined by the present. You may be wondering how you can feel these thoughts of something big happening to you on a deeper level, but you see that all the signs are pointing the opposite direction. When this happens you need to let your positive thoughts, your intuition of something coming, lead you along the path to success. Trust yourself and this manifestation sign. Dreams, or the importance of dreams, can vary greatly from person to person. Dreams sometimes make no sense at all, sometimes they feel familiar, and sometimes they are scarily accurate. Dreams are like a reflection of your subconscious mind and it shows you a variety of things. Some people claim they don’t remember them, and others are able to recount what they dreamed about multiple nights in a row. Usually, when manifestation is near, you will probably dream about it. A good way to pave the path to sensing your manifestation through dreams is to practice. By practice, we mean imaging what you want to bring into existence when you lay down for bed at night. This can help you use your dream space to put your unconscious mind onto what you want, and what you are trying to manifest into physical existence. When dreams begin to feel like you have started seeing signs, it is a sign that your manifestation is close. When manifestation is near it may seem as though bad, or negative, things keep happening to you. This may present as a drop in confidence, things feel like they are falling apart, you may begin to feel alone, or question yourself and your goals. All of these instances are just stepping stones to your breakthrough. Remember, progress equals chaos. Things must fall apart before they can fall together, and all of these things are necessary to deliver you to your end goal. Change is uncomfortable – don’t resist it. The universe won’t give you what you want until you grow to a new level. On the flip side, you may begin to feel happy for absolutely no reason. A deeper part of you knows that your breakthrough is coming, and in turn makes you feel strangely happy with no real reason presenting itself. When this happens, don’t fight it with limiting beliefs or look for things that are wrong. You are simply moving into alignment with yourself and getting close to manifesting your desires. 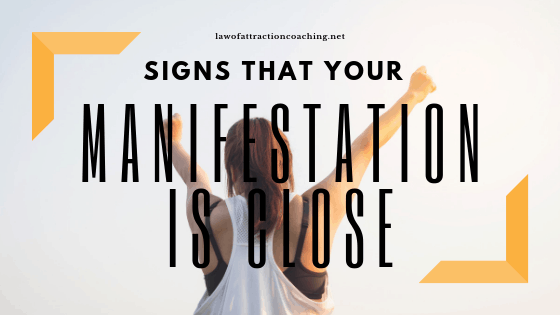 When your manifestation is close, you’ will likely feel a sense of calm that doesn’t quite make sense, and that other people don’t understand or respect. This is a sign that you have let go. When you are in a place of holding on, you are really in a place of lack of confidence – you are not confident enough in yourself to let go. When you have an indescribable sense of calm it means that a deeper part of you actually already knows what you want is near. People may even begin to pressure you to work harder, try harder, push further because they want to help you make something happen. When you are not phased by these limiting beliefs because you are in such content and calm place, something big is on its way and your internal self knows it. Don’t take this as a sign to stop, or quit moving forward and working towards achieving your goals. Continue on as you would as you know that your breakthrough is coming and you are not frantic in your journey there. Imagine the mind is a circle(see picture). Now imagine there is a smaller circle below it. The smaller circle represents your body. Your body is as molecular structure – it is a massive energy and a very high speed of vibration. If you looked at yourself through a microscope you would see all of that energy moving. Even when you die, the body does not stop moving. Essentially, how you use your mind ultimately dictates the “vibration” you’re in. Now imagine there is an imaginary line running across the large circle that is your “mind.” This line represents what separates the conscious mind, and the subconscious mind. The subconscious mind has been programmed throughout your life. As a baby, because you don’t know anything, your subconscious mind stays wide open and everything you experience enters it. 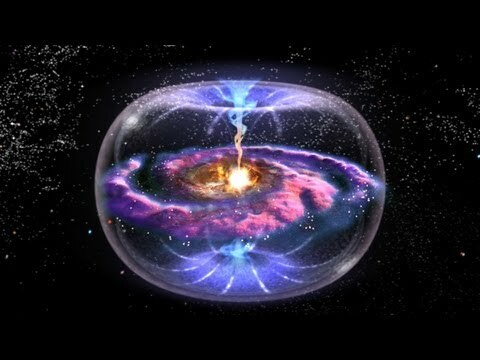 These experiences/things happening around you, or the “energy” around you creates what is known as a paradigm. A paradigm is a standard, perspective, or set of ideas is created from information that has been packed into the subconscious. This can be placed there through a multitude of habits or suggestions over a period of time and sometimes without knowing it as you are a product of your environment. Prior to that you are the product of a genetic string that goes back generations. Paradigms can be both empowering or limiting beliefs. The subconscious doesn’t care witch, so it is up to you what you choose to plant. We will classify your paradigm as “B Type” energy for the purposes of this article. On a conscious level, you have the ability to think. You are free to think anything you want, and to build the ideas you want. 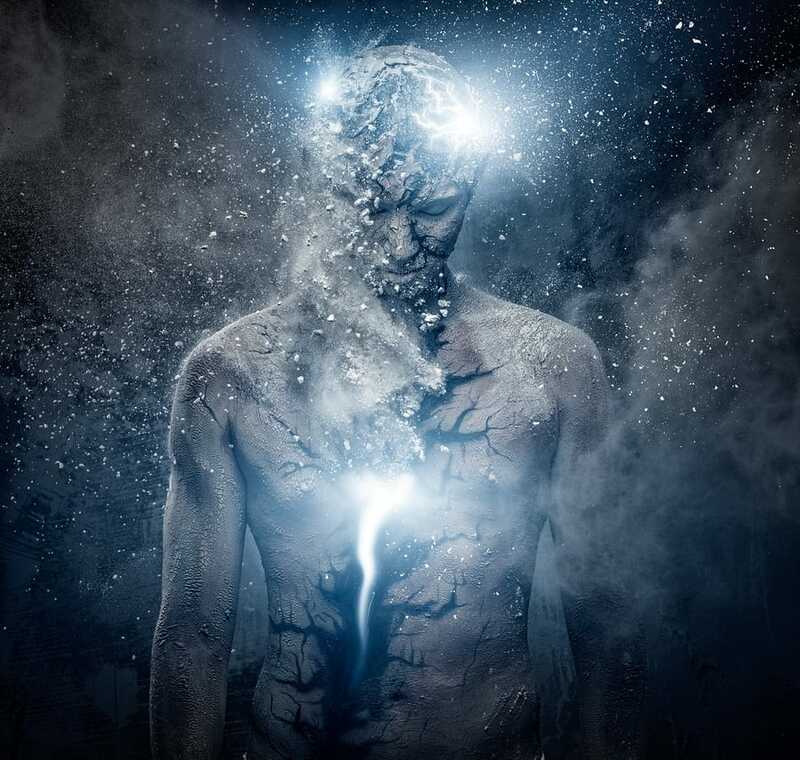 There’s a power that flows into your conscious brain that can literally be seen flowing out of you (think of the energy “moving” that we talked about earlier.) By the time you’re formulating conscious thoughts, you have already developed your paradigm. 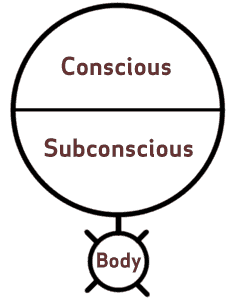 When information flows into your conscious brain (the upper half of the circle that represents your mind) your paradigm shapes how you see/process/and feel about whatever entered the mind – or “B Type” Thoughts. In turn, this creates “B Type” results. Still following? You can change your thinking, sure – but what you really need is to change the paradigm. If you don’t change the paradigm, nothing happens. So, if you keep attracting things you don’t want, consider this – its the paradigm that’s causing the problem. You can think a “C type” thought (which is different from your “B Type” conditioning) but it’s not going to change anything for you because when you attempt to get emotionally involved with it, the paradigm will kick it out. Why? Because the paradigm is uncomfortable. Because you have stepped outside of the box that your mind is conditioned to stay in. As humans, we dont like to step outside of our boxes as it causes us great discomfort. Most of the time, when we do think “C Type” thoughts, or have “C Type” actions when we are a “B Type” person, we run and hide. Why? Because we, and our minds, are afraid and uncomfortable with change. 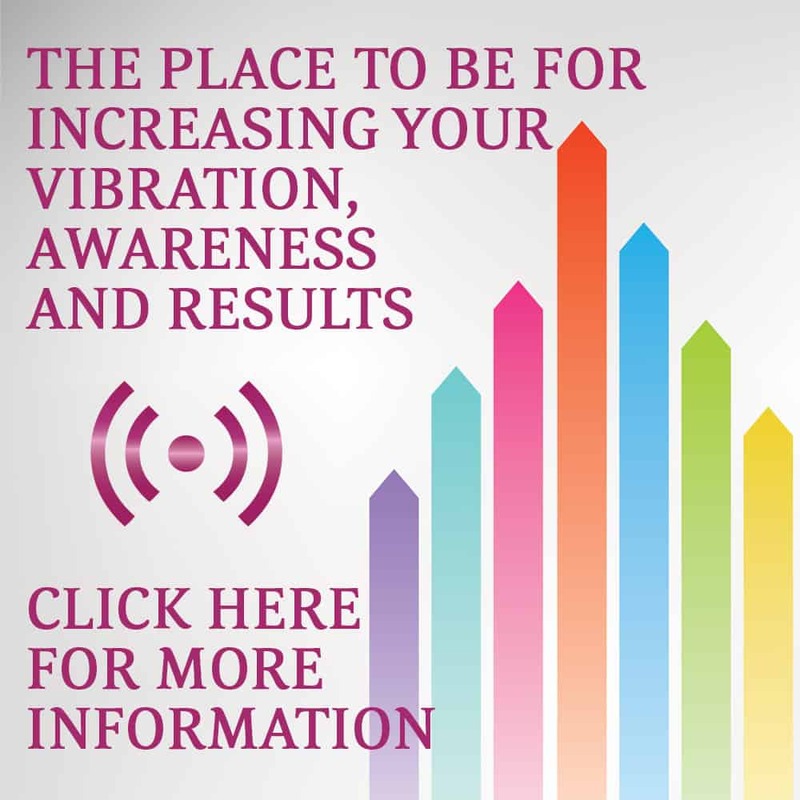 Understand this – the paradigm and the thinking control the vibration you’re in and the vibration you’re in dictates what you attract. For example, people that are in a poverty consciousness will continue to attract lack and limitation. And it has nothing to do with your thoughts, it has everything to do with the paradigm. You have to change the vibration you’re in to change your whole world. Do You Need A Better Understanding? Now, like me, unless you have been living under a rock, you have likely seen this video pop up on Youtube or as an add just about anywhere you look as you cruise around the internet. I got so annoyed of it at one point that I would yell out loud while he was talking so I didn’t have to hear it (This was before I actually listened and bought the course myself). I still laugh at that fact. The video was created to advertise his 67 Steps self-improvement course in which he breaks down the key principles of being successful in any business venture you choose. 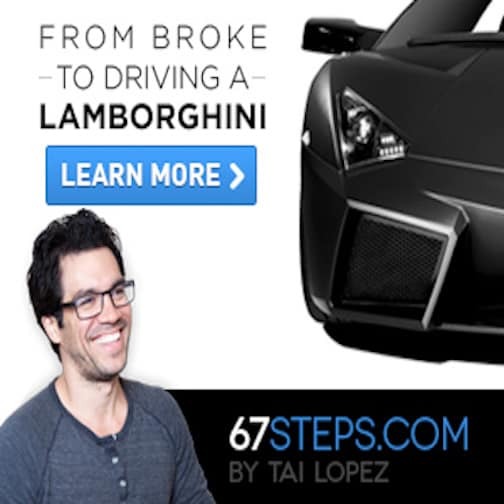 In his legendary “here in my garage” video which has now been seen over 66 million times online, Tai Lopez shows off his new black Lamborghini in the background while talking about the importance of gaining knowledge. What Is The 67 Step Program? Tai Lopez’s flagship product is the 67 Steps program in which he goes into great detail about the mindsets, attitudes, and habits of successful people. This detailed self-improvement course goes into incredible depth about success and the specific strategies you must implement in your life to achieve it. The course is unique because it forces you to work through the program in steps, only unlocking the next video after you have to watch the previous one. For some, this is enough of a roadblock to discourage them right from the beginning. Tai’s longwinded explanations can sometimes get boring for people with short attention spans. For people serious about self-improvement, the course is set up perfectly to guide you through the material in bite-size pieces that are easy to internalize. Over the years I have listened to hundreds of self-improvement courses and have come to the conclusion that self-help is similar to baking a cake. It’s not enough to just have the proper ingredients, you must have those ingredients added to the recipe in the proper order. The 67 Steps is the perfect balance of hard hitting material and a well thought out delivery system. Take full responsibility for your life. The truth is you are not owed anything in this life, but instead it’s up to you to create and achieve it. The majority of people expect things to be given to them, but in reality, you must put in the work and sacrifice to reach your goals. Those that make these sacrifices are part of the 1% who have goals and do what it takes to achieve them. Be Adaptable to change. A great philosopher Heraclitus wrote that “the only thing constant is change.” This means that those who can adapt to the changing world will thrive, while those who can’t, will fall behind. It’s important to set goals and make plans, but more important to change on the moments notice when your environment changes. The pace of technology is only going to accelerate and those who can adapt to these changes best will be the new leaders of the future. Always be humble. Being humble is easy when you are unsuccessful, but as one becomes successful, then being humble seems to become more challenging. A good rule is to take on an attitude of constant learning and growth. Instead of thinking you know everything, try learning from all situations and you will see your growth skyrocket. Also, surround yourself with people smarter then you and your organization will grow and thrive. Learn to sell. The biggest asset to any business is the salesperson. In the United States, a salesperson sometimes gets a bad rap. In reality, a good salesperson is the key to a successful organization. If your could learn one skill to make yourself more valuable it would be the ability to sell effectively. This skill set will transfer to any niche and any industry because all businesses need good salespeople. Find a good mentor. Having a good mentor can dramatically increase your learning curve. There isn’t enough time to learn everything yourself, so instead learn from people who have come before you. A good mentor is a person who is successful, but not too far ahead of you. For example, if you only have $100 dollars to your name and your mentor is a billionaire your not going to have much in common. Instead, find a mentor who just become a millionaire and they may be able to offer you better advice. Master your own thoughts. The biggest problem people have in this country is the ability to master their own thoughts. The mind can either be your biggest asset or liability, depending on how you have trained it. Bob Proctor talks about the importance of mastering your mind. In fact, if you could remove negative and limiting beliefs then your chances of success will magnify. Master your time. Time is our most valuable asset in life. Many mistakenly believe money is, but when your health and time on earth runs out, you will quickly find which is more valuable. Successful entrepreneurs know how to manage time, and more importantly, know how to employ the help of other people to increase their productivity. 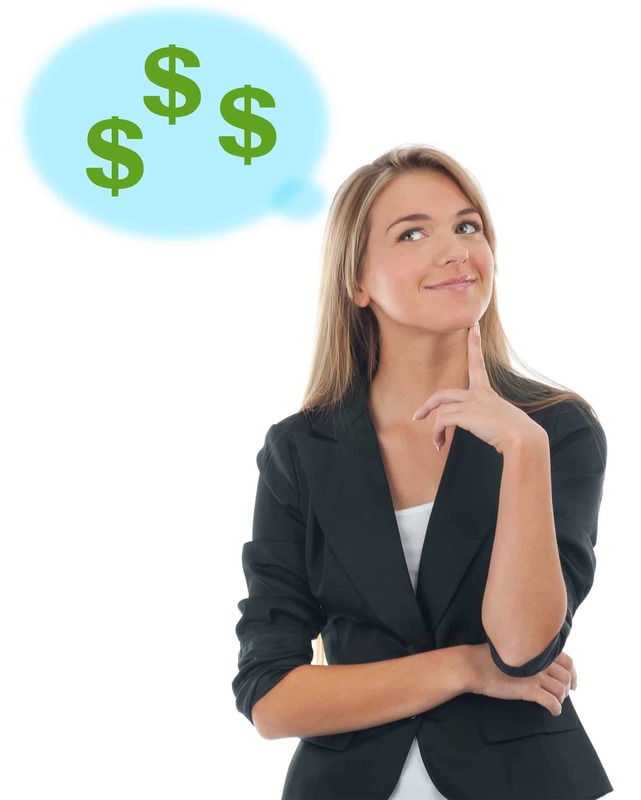 Increase your free time by focusing on passive income instead of raising your hourly rate. He rambles on A LOT. Drives me nuts…lol. Youtube adds drive me nuts! 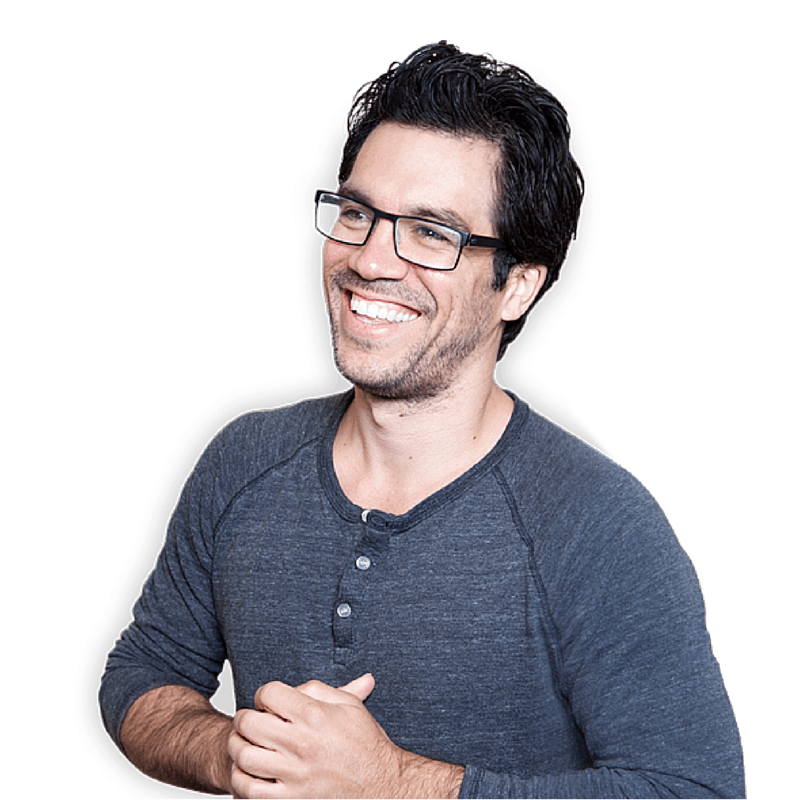 Overall, Tai Lopez’s 67 Steps is one of the best self-improvement courses on the market. Over the last few years, Tai has become one of the biggest self-help gurus in the world and a social media powerhouse. His YouTube videos have been seen by well over 100 Million people and growing at a rapid pace. Aside from his successful self-improvement courses and online websites, Tai has a plethora of other companies involved in everything from clothing, swimsuits, to clubs and restaurants. Tai is constantly reading and learning new ideas which means that he won’t burn out and grow irrelevant like others in the self-help niche. If you are serious about making more money, I would recommend Tai’s 67 Steps course. Sometimes this question can be a loaded gun, but I know a lot of our students have purchased this course so I would love to hear peoples feedback on it and just Tai in general. Do you know about the Awakened Millionaire Academy? The Awakened Millionaire Academy is a newly released web-based online course that will train your to dramatically increase your income. 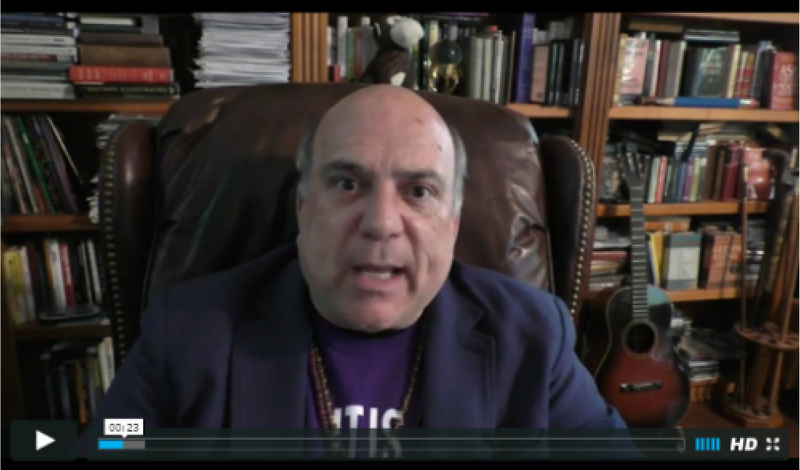 Dr Vitale delivers fifteen video modules that will give you breathtaking mental awareness and awakening to reveal your potential. Dr. Vitale will teach you are the true nature of money making, and how you can turn you passions into profits, and truly live a life full of meaning and purpose. This course will teach you how to experience a simultaneous groundbreaking spiritual journey and awakening. I’m sure you are thinking to yourself that this whole thing is too good to be true. These 15 conscious raising videos can help spark a chain reaction of grow and opportunity in your life. The reality is that you have deep reservoirs of talent and possibility that just need to be revealed inside you. The truth is that this power and purpose is already inside you and just needs to be released and be revealed. If you take time to read the hundreds of comments inside the training you will see the results others have had with the program. Listening to the very first module is enough to transform your life forever. What would you life be like if you were to awaken as a millionaire? During this training course you will master money and feel the passion it takes to make millions of dollars. The truth is spiritual awareness happen all the time, and this training course has the ability to deliver that spiritual awakening for you. As you awaken this will take your passion for living and life into overdrive. The more passion you put into your profession the higher chance you have to be successful in love and life. 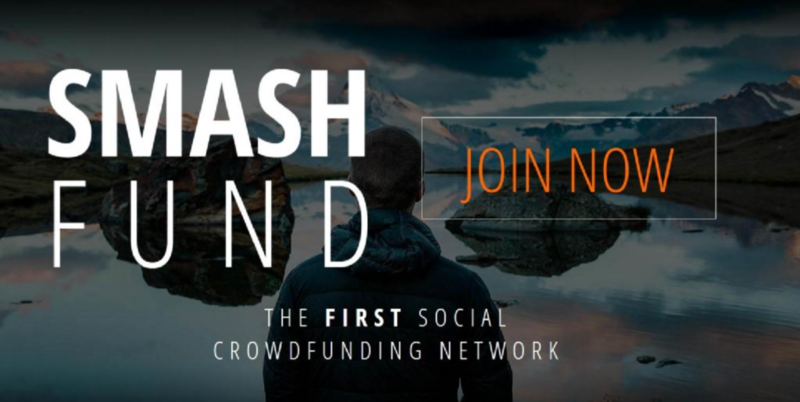 Let’s face it, everyone wants to make more money, and this could be the course that finally gives you that breakthrough you have been waiting for. As you learn this material you will become an ambassador for change and inspiration around the world. Overtime you will master the concept of win-win and you will begin helping people all over the world while making yourself rich in the process. For years now, Joe has been on a mission to transform planet earth by creating a flood of Awakened Millionaires. Joe has created a course that will give you the tools you need to finally achieve the financial freedom you have always wanted. Have you always wanted to live a life of success, passion, and prosperity? If so, The Awakened Millionaire life is the type of course you need. 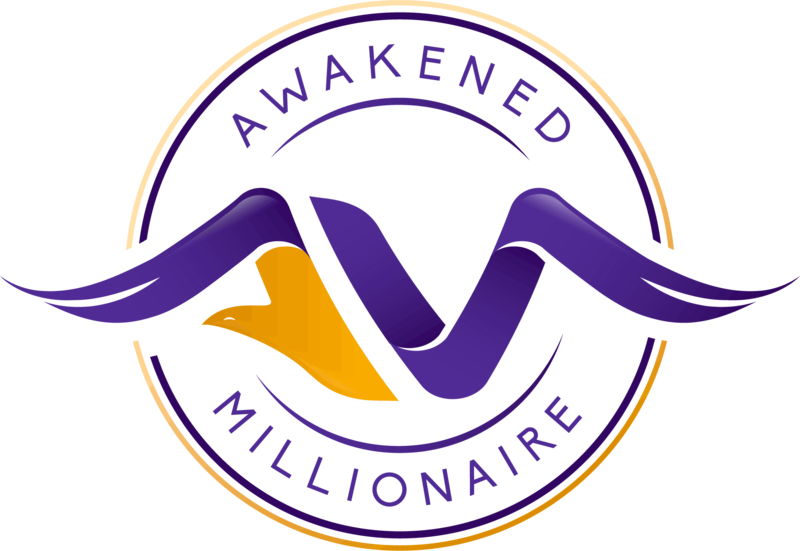 How is the Awakened Millionaire different from other programs? It’s true, there are hundreds of great programs around the world that can help you unlock your potential, but why is this one different? Dr. Vitale has truly developed a process to help you experience a transformation that you just won’t find anywhere else. Sure, there are many programs out there that will help you earn more money, but most do not combine the spiritual element into the process. The truth is that spirituality is a large part of growing as a person and increasing your wealth. I liken the process to learn the art form of picking up women. It’s impossible to just learn tactics and strategies to pick up women and become successful. Sure, you can have some level of success, but eventually you will be found out. In order to have major and lifelong success you must change who you are as a person. In fact, you must grow as a person on the spiritually to attract the women you desire. The process of creating great wealth in your life is no different. In order to really have success with money, you must work on your spirituality and core beliefs first. This amazing new self-improvement course is totally unique. This training course was designed with one goal, and that is to force you to be successful. The way we do this is by developing a ground-breaking technology that keeps you accountable throughout the entire process. This unique training method will also inspire you and push you through the program by giving you the sufficient motivation you need. The combination of unique money making and spiritual connection as well as pushing you through the program is the secret sauce to help you reach your goals. 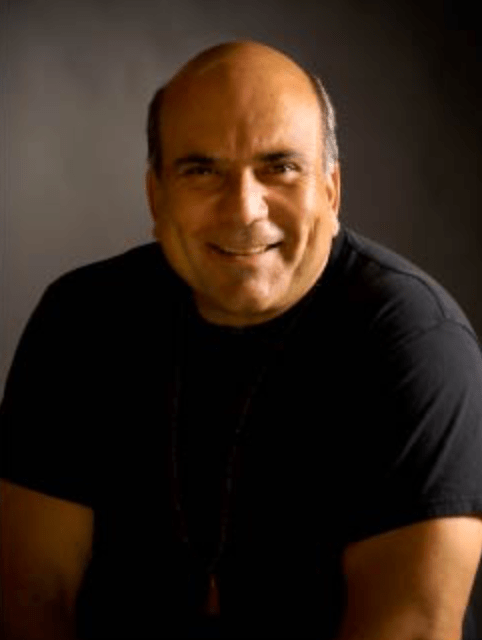 Why should you listen to Dr. Joe Vitale? How does the Millionaire Academy Training Work? From the moment you join the academy you can unlock the first module and start your journey to greater success. To ensure you success, you will have the ability to unlock each training module the day after you finish the prior one. In addition to the training material, each module will also include a mental training hypnosis program by Dr. Steve Jones. Plus, you will get full access to the Millionaire Academy Facebook community to network with other students on their success journey. 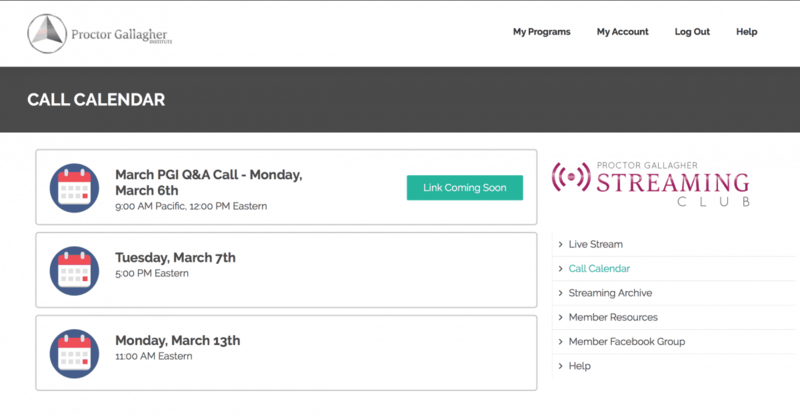 Finally, you will also get access to mastermind phone calls with the founders. Isn’t it time you started investing in your future? Sign up today and start building your life of success and abundance by clicking the link below! Bringing prosperity, riches and happiness into your life is not difficult when you are doing it one-step at a time. In fact, the easiest way to see results is to begin with one thing. 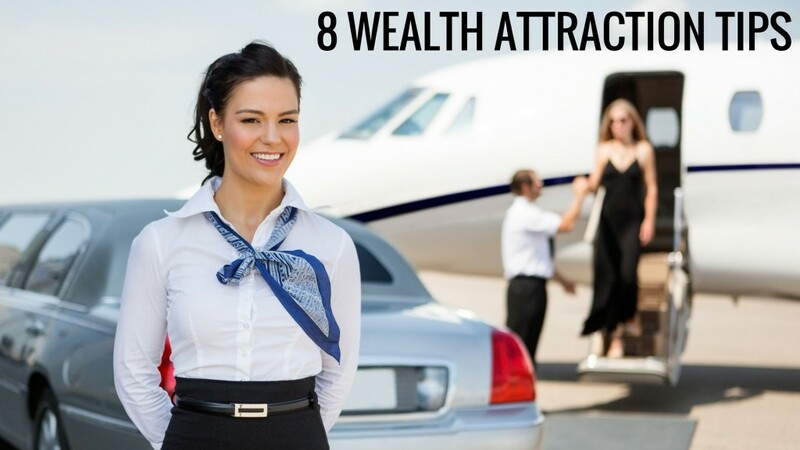 Here are 8 easy strategies that will help you establish and to attract prosperity, greater riches and happiness in your lifetime. Are you ready to get started? 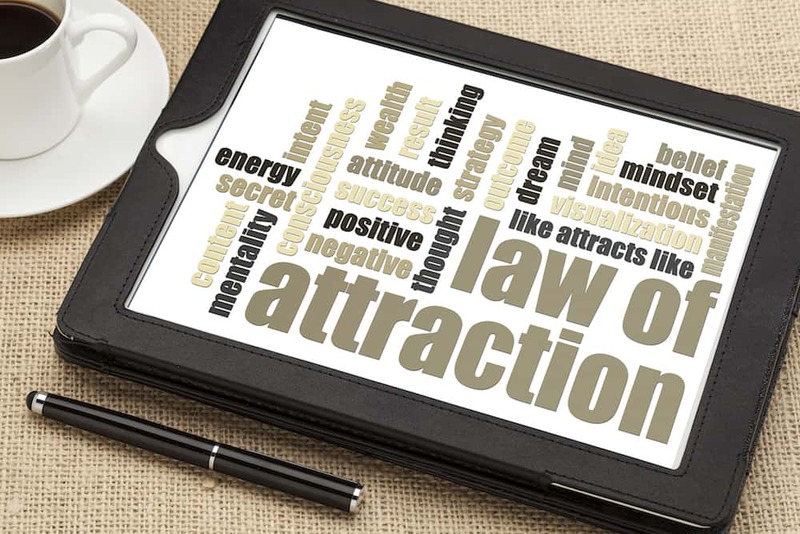 Remember, using the law of attraction to attract wealth into your life is not a quick fix solutions. Furthermore, the key to success in any practice is patience and consistency. If you are not persistent and working daily to achieve your goals you will have little success. Although, those who are persistent and won’t accept failure as an option will eventually succeed. 1. Write down your long-term goal. Bob Proctor and other personal development teachers say that one of the most important things you can do is physically write down your goal on a piece of paper, and refer to it daily. You can put it on a sticky note on the mirror in the bathroom or keep it in your wallet. Whatever you do, make sure you refer to it every single day. By doing this you will put out into the universe your desire for your goals attainment, and over time the universe will deliver. Write down the phrase riches, success, pleasure, delight, laugh, cash or any words that resonate with you as you. These words should be positive and true to you. Before you go to bed, ready these phrases out loud and to yourself for a least 5 minutes. Add extra emotion and energy into the phrases to execrate your learning curve. Over time, your subconscious mind will move into action and begin searching for the best way to attain your goals. Do not expect to see instant results from affirmations, but instead watch the gradual improvement over time. Eventually, these ideas will become second nature and change will happen effortlessly in your life. Success comes to those who are grateful and appreciative of what they have. As the universe begins to open up to you, make sure you keep an open grateful heart. Heavily focus on what you’re thankful for every day. Value matters which you have to want more. Give thanks and gratitude to people who have faith in you, your buddies who consistently support you and your body that’s working for you personally. Surround yourself with people who support your vision and your dreams. It may sound harsh, but you need to avoid people who put down your dreams and hamper your creativity. The truth of the matter is most people are stuck in negative paradigms and cannot envision a world where they are successful. In fact, Bob Proctor says to avoid places or people that have negative energy altogether. The reason being is because whether you like it or not, this negative vibration will rub off on you and affect you negatively. Keep a constant attitude of gratitude and the world will open up for you. In order to live in a constant state of positive vibration you must give permission to the positive feelings and disregard the negative ones. Thinking impact the sub-conscious mind the most when feeling and emotion is felt along with it. Negative feelings should be explored and understand, but never given permission to effect your state. In fact, your mental state is completely under your control if you choose for it to be. This means that you can no longer make excuses about how the outward world effects you, and instead choose to be positive and choose to be happy. The world is filled with so much joy and amazement and it’s up to you to look at the glass half full instead of half empty. This positive feeling will go out into the environment and attract like-minded things and individuals to you. By remaining in a negative state you will attract like minded negative people and situations into your life. Remember, you thinking controls you destiny, so think carefully. Participate in actions that will calm and soothe your body, mind, and spirit. Remember, in your very nature you are wild, and will feel the best when your away from the city and in nature. Get off your computer and instead go for a walk in the woods. Nature has the perfect vibration and you should spend is much time in those positive vibrational fields as possible. When you are participating in outdoor activity, don’t all your head to be caught up in dates, to-do lists, and work issues. Instead, explore “big picture” topics or picture what your life is going to be like once your achieve your dreams and goals. It’s also important for a certain amount of time to be present in the moment. One trick to bringing your mind back to the present moment is to focus on your deep breathing. The reason this works is if your focusing on your breathing your not thinking of anything else. Engage yourself in activities that feel good in your soul. Studies show that engaging in these activities can trigger your primitive instincts to come to the surface, and make you feel alive. Sweating is a great way to release endorphins and improve your mood. I prefer to engage in physical activities that I actually enjoy, therefore I’m working out and having a good time. Of course things like runnings, kettle bell, biking, hiking, backpacking, or anything like that will definitely help your mood. You can also use things like a long hot shower, saunas, hot tubs, and steam rooms to get a good sweat going. Whatever you prefer to do, it’s important to work the physical body as well as the spiritual body. When you combine these two at the same time, you can really help improve your soul and body. One of the most positive things you can do in your life is to be happy for the success of others. All the great leaders say that great progress happens when you move from the competitive plane to the creative plane. If you are not rejoicing in the success of others it’s impossible to move into the creative plane. In fact, you should have such am mindset where you love when people around you are successful. The old saying goes “a rising tide raises all ships” and this saying applies to success in business and life. Be happy for the success of others and that will bring more success to you. You should shoot for being in a positive state of mind as often as possible. You should be so confident in the work you are doing that you are happy when other people around you achieve victories. In return, they will be happy for you when you achieve your dreams, goals, and aspirations. No matter how smart you think you are, there’s always more to learn about happiness, success, and spirituality. 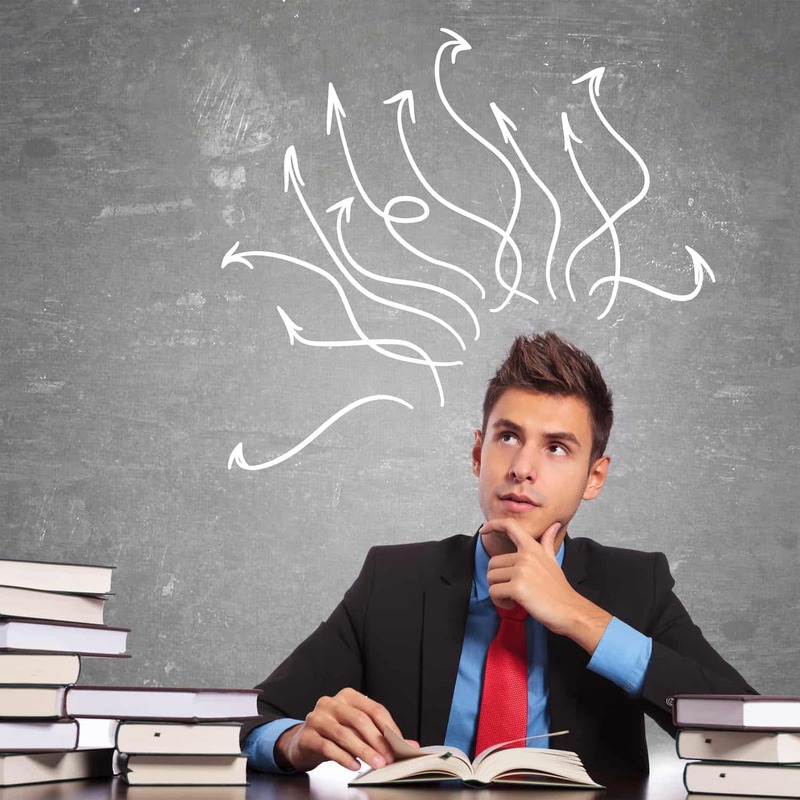 There are thousands of self-improvement teachers out there, each with their own unique point of view. When learning something new it’s important to take what resonates with you, while ignoring what doesn’t seem correct in your gut. You don’t have to agree 100% with any one teacher in order learn something from them. Instead, just take that 1 or 2 gold nuggets that serve you, and ignore the rest. Our brains have the ability to process very large amounts of information on a daily basis. The subconscious mind is constantly processing and analyzing the millions of pieces of data our brain takes in on a daily basis. Many believe that the subconscious brain is completely out of our control and any attempt to influence it is a waste of time. I’m here to tell you that you can take control of the subconscious mind and train it in a way that serves your life goals. That’s where the Law of Attraction comes in. This universal law has been used for centuries by the great political and business leaders of our time. Through the process of controlling our thought patterns, over time, one can begin to forge their own destiny. Many people attempt to master the subconscious mind but quit after they don’t see immediate results. The fact of the matter is that all change happens quickly, and repetition and time are the only way to influence the brain. The law of attraction isn’t magical term hat suddenly will allow the universe to begin dumping money on your lap. In order to succeed, you have to actively feed the brain with the correct information. All of us have narratives, limiting beliefs, values, and other paradigms which control the inner landscape of our mind. The process of discovering these layers and apply this universal law takes time, but the results are magnificent. In order to change your mind, you must begin to recognize your thought patterns. Utilize the meditative process to go inside. By focusing on your deep breathing you begin to realize things about yourself that you otherwise would never know. For most people, your brain is constantly thinking about things related or unrelated to your current situation. Begin to notice what you concentrate on and what your attention goes too. If you are looking to achieve big lofty goals in life, it’s important to focus on these goals on a daily basis. If your brain is cluttered with other things that do not serve your purpose in life, then simply take note of these thoughts and explore them at a deeper level. 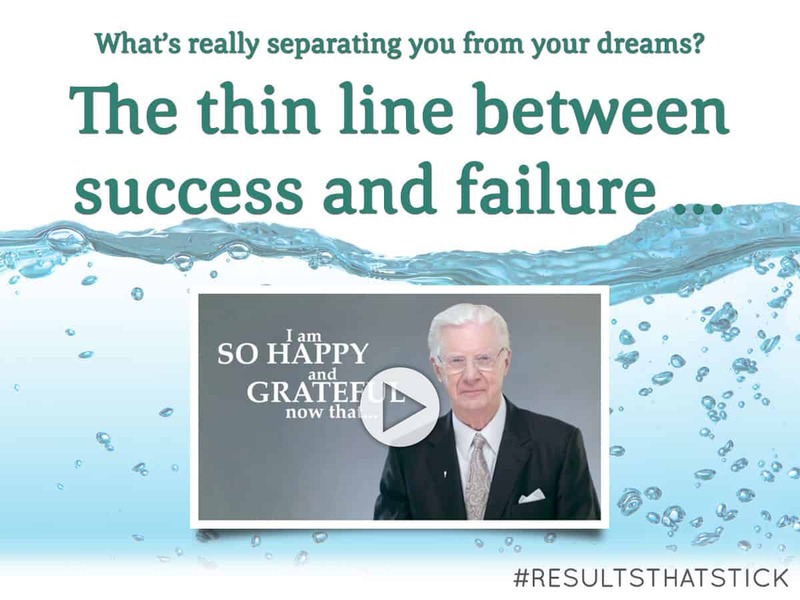 Bob Proctor teaches us that stress, fear, and anxiety are all negative states. These states are usually due to external factors but create a vibrational frequency internally that controls everything in our life. Most people’s daily lives are filled with stress and anxiety which can damage your ability to use the law of attraction. The creative plane is where the magic happens which is the exact opposite of fear. Negative people emit a vibration that will affect you while you are in their presence. Their energy permeates out into the cosmos and will affect anyone in their general area. It is my strong belief that you should avoid negative people at all costs. My goal is to constantly stay in a positive vibrational state and this is best done by surrounding yourself with others who are in similar states. Through the practice of Yoga you can develop stronger willpower, calm the mind, and increase flexibility. Yoga is a powerful tool because it forces you to calm the mind and go inside. The world is full of stimulation and rarely do we get a chance to focus on our breathing. By practicing Yoga it forces you to slow down and will help you grow as a person. Before I discovered the secret law of used a lot of negative speech in my daily life. Any speech which contains limited beliefs is only going to hurt your chances of growth. The subconscious mind is constantly learning from the way we think, talk, and interact with the world. If you are not feeding it good info, then it will not produce the results you desire. Likewise, if you move forward on a daily basis with complete confidence you can over time develop more confidence. Negative feelings and emotions are so powerful that they can actually damage our body on the cellular level. The tension and discomfort associated with negative thoughts permeates every inch of our body. Instead, try to keep your body at ease all the time, even during stressful situations. Utilizing deep breathing, yoga, and other techniques described in this article you can begin to maintain a sense of ease, even during the most stressful situations. Maintaining a journal is a powerful way to keep track of the changes you experience during this process. In most cases, the change is so slow that if on doesn’t document it, you will never realize how much improvement you have actually made. In my case, I have a hard time remembering what life was like before I become more successful and stress free. The act of documenting this process in a journal can be therapeutic and help track your progress along the way. If fear, worry, and doubt are the enemy, then gratitude and thanks are your friends. The feeling of gratitude will put you in a positive vibration that will permeate every fiber in your being. The creative process is one that is amplified by gratitude and thanks and destroyed by competition and fear. These negative emotional states close the brain down to the creative energy and information available to everyone in the universe. On the other hand, when your in a positive state the creative power in the universe is free to flow into your. Self-help gurus have different names for this, but the basic concept is one of going to the movies in your mind. By envisioning your life as if you have already succeeded, you are forcing the subconscious mind to create a road map to reach your goals. This part of your brain is thousands of times smarter than the conscious portion, therefore, utilizing it can help accelerate your success. One of my favorite tactics is to picture my life with the wealth I know I will have in the future. I wake up in my beautiful house, take a swim in my pool, my chef cooks me breakfast, then I’m off to work. This process motivates me to work even harder to reach my goals. Your mind is moved the most by those thoughts and actions that have the most feeling. Simply doing affirmations is not enough, those affirmations must be filled with strong emotion to really move the needle. That’s why when I do affirmations I will occasionally yell them out loud, or get a little angry while I say them. This is to let my mind know that I’m serious about attaining these goals and it’s time to put it in high gear. I’m sure we have all been in a situation in life where your back is against the wall and you must react immediately and boldly to make it. These types of situations are my favorite because I know when the pressure is on, I will be at my best. Don’t forget to sign up for our free coaching and get your MP3 dowloads today. Do you have Magic in Your Mind? Bob Proctor, the legendary self-improvement and success coach says you do. Bob just released a new self-help course that features the best law of attraction coaching available. Created by the Proctor Gallagher Institute to help you develop your inner faculties to attract success into your life. I first heard about Bob while searching the internet for success gurus. As a long-time student of Tony Robbins and Stephen Covey, I’m always searching for new information to help me grow as a person. One day I was searching YouTube and stumbled into one of Bob Proctors videos on affirmations. I instantly knew that Bob was unlike other self-improvement teachers I had listened too online. He has a unique way of boiling complex concepts down to their simplest form that one can understand and apply. What Is Magic In your Mind? Magic in Your Mind is a 6-week, 42-day intensive program with affirmation exercises, videos, and audio tracks. This course comes packed with hard-hitting information that will expand your awareness and help your grow as a person. The key to lasting change is to reprogram your mind to think in a vastly different way. This way of thinking is designed to serve your quest for success instead of sabotage it. Albert Einstein said, “We cannot solve our problems with the same thinking we used when we created them.” If you want to be successful in life, you must think and act differently then you currently have been. This means your going to have to utilize the transformative power of the law of attraction to change and reprogram your subconscious mind. 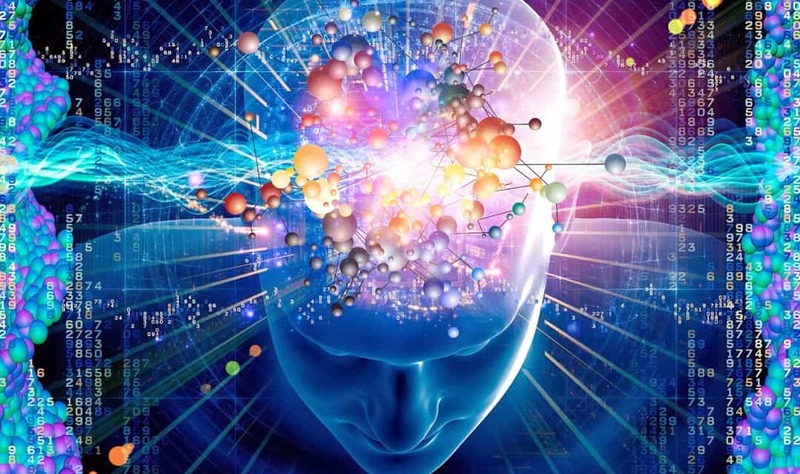 Studies show that the sub-conscious mind is hundreds of times smarter than the conscious and stores every sensory impulse or information that has ever been received through the five senses. The reason people have trouble changing their way of thinking is the sub-conscious mind does not work like the conscious. The only way to change your subconscious is through repetition, emotion, and the passage of time. You see, the subconscious mind has been slowly programmed over the duration of your life, and it’s going to take time to reprogram it. Bob’s 42 day intensive course Magic in Your Mind is the #1 resource you need to begin making these life altering changes. The truth is, your success or failure really comes down to your thinking. 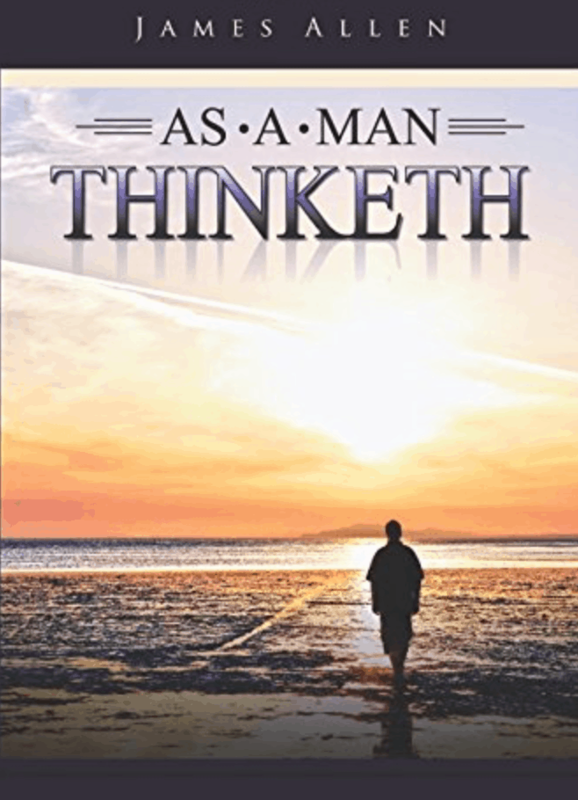 In 1903 James Allen wrote a book called As a Man Thinketh. 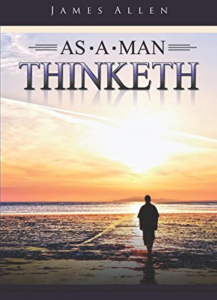 In this legendary book he wrote “A man is literally what he thinks, his character being the complete sum of all his thoughts.” The amazing part about this quote is those words are as true today as the day he wrote them over 100 years ago. The Law of Attraction and the law of vibration are basically a manifestation of everything James wrote in As a Man Thinketh. All your thoughts create a vibrational frequency which will either attract great riches into your life or great poverty. In order to be successful you must prepare and program your subconscious mind to expect, demand, and attract these riches into your life. Magic in Your Mind is the perfect course to begin the process of preparing your mind for riches. Remember, this process does not happen overnight, but takes time and repetition to manifest. With that said, once you have successfully eliminated negative and limiting beliefs from your mind your world will change forever. The positive vibration you will project into the world cannot help but bring you success and is the foundation of all great achievement. In my opinion, Bob Proctor is one of the greatest motivators alive today and his teachings have truly changed my life. If you’re looking to make more money or just simply grow as a person I highly recommend Magic in Your Mind. I would also highly suggest that you Look into his other success course Six Minutes To Success. We would love to hear your stories and successes with this program. Also feel free to talk about what could have been differnt or better if you had the choice. Changing Paradigms can be essential to achieving and attracting what you desire into your life. We all have them whether you are aware of them or not. Some serve us and others prevent us from having more from life. So what are they and why are they there? A paradigm by definition is: “a typical example or pattern of something”, “a model”. So what a subconscious paradigm is to us is a pattern or programing through constant repetition of a thought, phrase, belief, or habit. Let me come at this another way. Pretend your mind has two halves, a conscious and a subconscious. Your conscious mind filters and protects what you don’t want from getting to your subconscious mind. When a thought gets to the subconscious it becomes real whether it is or not. Your mind believes it is real and moves your body into the vibration in accordance with that thought. When you are in a vibration, you attract other like vibrations to you. 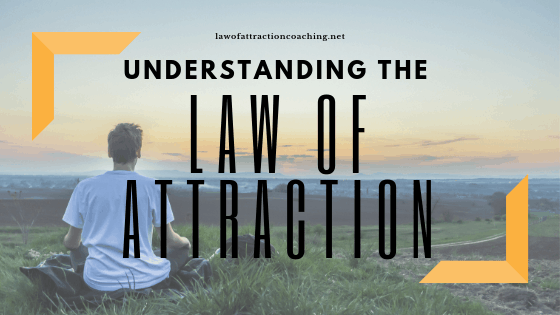 This is exactly how the law of attraction works, but most people try and get “X” thought into their subconscious and never do. Then they say it doesn’t work. So how do we get a thought past the conscious mind to the subconscious? Simple. How do you get good at anything? Through constant repetition. This is why when I teach something to someone I will typically tell them to repeat whatever step I give them every day for 90 days! You need to beat these new practices and thoughts into your mind until they become second nature and part of you. You accelerate this by adding movement and feeling to them. If the feeling for a thing is strong enough you can impress a thing upon the subconscious in a second. This is why a traumatic experience will stick straight in your subconscious mind. You associate deep thoughts and feelings with it. When you start to learn the principles of attraction, the whole world starts to open up to you in a very beautiful way. Now as far as thoughts and beliefs that do not serve us and limit us, this law is also how unwanted thoughts got into our heads. If we are not conscious about what and who we are around, then unwanted beliefs and habits will penetrate our minds by simply being around them long enough. Can you still remember cartoons when you were a kid? Why is this. You were probably watching a cartoon or show that made you “feel good” and during the commercial break you remained in a good, open minded, positive vibration and had your “mental guard down“. That is why I can still sing the Ham’s beer commercial to this day. I was in a good vibration enough times with an open mind and through constant programing in literally snuck into my head. Maybe our parents were on to something when they said they didn’t want us to hang out with so and so. Here is an example: Whether you believe in crime or not, if you hang around a burglar long enough, you will slowly begin to justify and accept it. Wait long enough and you will most likely become a burglar yourself. This is the power of consistent repetition. So you choice from here on is, what do you want to be in your mind? One you learn these skills you no longer have an excuse. You get to decide what you want and what you want to believe in. It truly is beautiful to see the lights go on in someones head when they start to understand this law. So to summarize, a paradigm is a belief in your head that was put there through repetition. doesn’t matter if it is good or bad, the subconscious doesn’t decider that, only the conscious can filter and decide. Now you know how hypnosis works. It simply bypasses the conscious and goes straight to the subconscious. Once you get to the subconscious with a thought or belief you want, you still need to nurture and continue to impress that thought. Catering to the mind is a daily routine and if you slack off, then the world will impress it’s thoughts in your mind for you and you’ll go right back to where you started. This is one of the best pieces of advise and knowledge I could ever give you that you may not already know. Please read through this a few times and let it really sink into your mind what I am talking about. I know you will have all kinds of instances that will come to mind where this will make a lot of sense. I would love to take the credit for this knowledge, but it is simply passed down from coach to coach and now to you. Be sure to read my new review on Bob Proctors new program Six minutes to success. 6 Minutes To Success is the very first Bob Proctor course that I ever purchased in my journey to find my real purpose in life. The program is so simple yet so powerful and really changes your mindset throughout the day. It really helps you start to understand what you focus on you manifest into your life. Not only that but really opens your eyes to habits and beliefs in our lives that have crept in from one source or another that truly limit our potential in life. We like to call these “limiting paradigms”. They are the true killer to any and all success. Once you learn them, you can see and understand how they not only prevent you, but others from achieving what they desire in life. Let me take things a step further and give you my personal review below in video form. Life wasn’t always peaches and cream, far from. I was 34, single, working in a career that I grew up in (construction) but really did not love or have any kind of passion for. My gut always told me that there was more to life and I needed to find it, but I just kept putting off that feeling for about 14 years. Always knowing there was more to life but just not doing anything because I was comfortable in what I was doing. It was easy and I made decent money. I didn’t have the guts to change. I had lost that inner man that I knew I had inside of me, but became week and lazy over the years. It wasn’t until one day I looked in the mirror and noticed my hair was falling out! Literally, and not just my head but I couldn’t grow a beard anymore because I had bald patches all over my face where hair used to grow! I was shocked and googled what could cause this. The answer I found, “stress and unhappiness”. Seriously, that is what it said. Now I take good care of myself physically and by what I eat so I care about my health a lot. This was not acceptable. It pushed me out of my comfort zone and gave me the guts to say NO MORE! In that moment I knew what I had to do as I had been avoiding it for 14 years. I immediately started meditating and randomly dumbed across some old Bob Proctor videos on youtube. I started watching them for hours every day. after a week I Decided to call and sign up for this Six minutes to success program (it was the least expensive they offered). I watched the videos every morning and started to enjoy what Bob and Sandy were trying to get across to me. Me being the person I am wanted more, so I called the company and asked about other programs and soon signed up for personal coaching. I soon after sold my business and started a completely new business that I am happy and passionate about. Most important I wake up happy and my hair is growing back!!! No joke. I can have a beard again and hairs on my head are starting to pop through. I just recieved an email from Bob’s team at Proctor Gallagher Institute that is telling me you can’t purchase this right away. I was a little shocked and confused until I read a little more. Before you even get the option to buy it, you have to try it for FREE! I have to say I was shocked and a little jealous. How does this get better? All it takes is your name and email on the signup form when you click the link below. I would use your best email as some of your free videos will be sent to the address you enter. This is a win – win – win here. It is so good in fact, that I signed back up and the first video is awesome. You will get a video right away when you sign up. Then you will be emailed over the following days a few more videos. Once the trial is over, they will provide a place to purchase the program. I’m also told that they added a new purchase level that will have added features that I never originally got when I first purchased this 18 months ago. They just keep stacking the cool and it is to your advantage as it is offered to you right below. This is such a great offer. I can’t wait to see you change your life as I did mine! Be sure to sign up while the offer is available. Great question. How it works is you can click one of the “get started” links above or below and you will be asked for you name and email. The email you enter will be where Bob will send you your first 3 video’s for Free. After the 3 video’s you will be given 2 options to continue on with the program. One option is $49.95 a month which is the only option I had when I went through the program. The second is a new option for $99.95 a month and has some added fetures and bonuses that Bob Talks about in his videos. So people who enjoy the fast track will opt for the second option, but I can only talk about the first as it is what I personally purchased. After you get the program, you will start to recieve a new 4-6 minute video along with an audio and pdf version (for just listening or reading) every morning. The idea is to wake up and start off your day with a new video every morning. Some will have new ideas to think about or pay attention to throught the day and others may have a dialy challange. This doesn’t seem like a whole lot, but just starting off your day with these simple videos start to alter the way you look at things and makes you notice some things that may have been preventing you from success before. Starting simple and small can be very powerful as it was in my case. I won’t be offing this if I didn’t believe in it I assure you. Only takes 6 minutes a day. Videos are easy to follow. Powerful advice for a short video. Starts the day off right. Leads to better things in your life. Bob is a great coach and easy to understand. I can’t find any coupons for it to save money. If you are here reading this, then I would venture to say that you are still searching for more like I was! This may seem like a simple program, but I assure you that it has changed my life forever and it can change yours as well. Bob is a master when it comes to personal development and I have yet to purchase one of his courses and regret it. Please don’t wait to go after your dreams like I did. You have all kinds of options here at law of attraction coaching from free, to high-end courses from myself and Bob Proctor. I will mention that Bob also has a brand new program out called Magic In Your Mind. You might want to check it out as it has the best of the best from all of his programs packed into a 42 days course. If you have purchased this or have any questions, be sure to comment below! When I first started this course, I wasn’t really sure what to expect. I had a hard time believing that dead kings held the secret to my success. After reading a lot of the positive reviews online I decided to give it a try and purchase the program. I’m very happy I did. This is a fully digital course that reveals the secrets that kings and successful people have used for thousands of years to gain unlimited wealth and happiness. 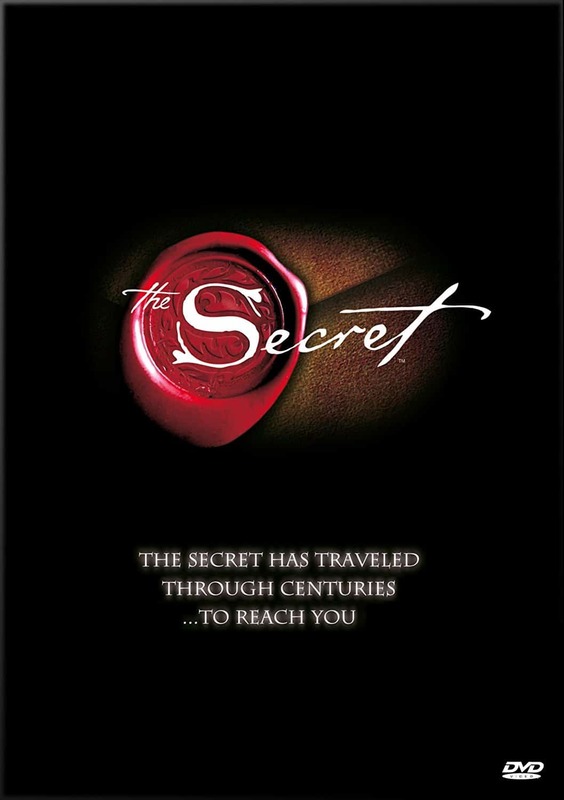 Most people have heard of “The Secret” and the Law of Attraction, but most people don’t recognize why these concepts don’t work for them. 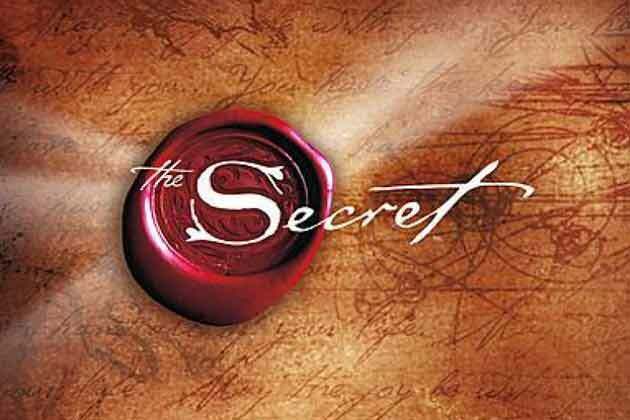 The course reveals the #1 reason why these “secret laws” don’t work on everyone. They also explain the one thing you must do to start attracting the success, wealth, and happiness into your life today. Creating boundaries is a necessary ingredient to becoming successful. Without setting clear boundaries it’s difficult to stay focused on your goals. Boundaries help keep you immune from the daily distractions of life that slowly break you down. As a successful small business owner I learned the importance of setting boundaries with my employees early on. If you don’t set boundaries with your employees then they will walk all over you. It’s also important to do this early on in your relationship because boundaries are much harder to change after they are set. I see why Winter Vee started with the China Pillar as the opening lesson. Setting boundaries is your first step to create the foundation you need for success in your life. Creating Abundance is the next pillar in the series. In this pillar you will learn why “the secret” doesn’t work for everyone and how you can make it work for you. They also reveal why having a positive mindset and avoiding negative people is critical for your success. Through experience I have learned that surrounding myself with positive people is essential for success. Negative people will only bring you down and hurt your creativity. Bob Proctor in his teachings says we should remove negative people form our life if we want to think and grow rich, and I agree with this completely. The Egyptian Pillar of intros course will help give you the tools to bring abundance into your life by first creating abundance within yourself. Creating peace in your life is essential to bring in success and fortune. The Israel Pillar teaches you the key to creating riches is to establish peace with yourself first. This Israel Pillar also teaches you to avoid the enemy of peace, anger. Once you have created inner peace the next step is to begin making money. This chapter will give you the tools you need to cultivate inner peace and avoid anger. The next technique they teach you is how to train your brain to take advantage of resources at your disposal in life. Instead of dwelling and focusing on the things you lack, begin recognizing and utilizing all the resources you have available. By focusing on all the opportunities in your life you will create an abundance mentality that will move you towards your goals. Plus, when you order now, you get the following self improvement audio programs. This self improvement course includes a huge amount of bonus products. 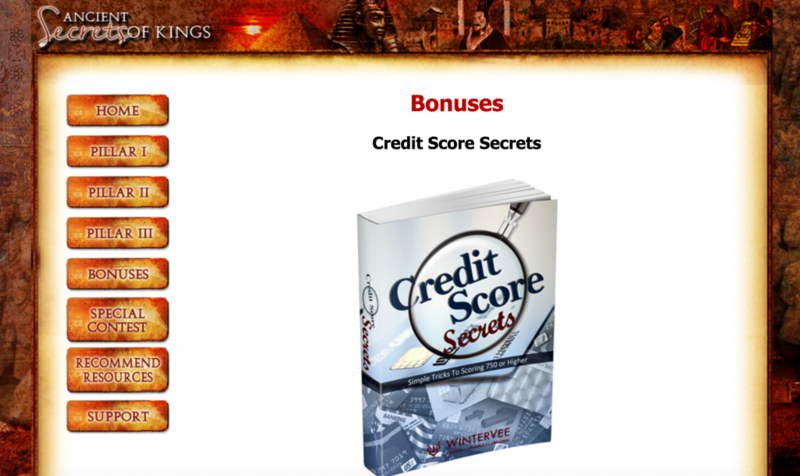 In total, these bonus products alone are worth the small fee to purchase the course. This is a must buy game changing program that over delivers on every front. In conclusion, This program blew me away! The information contained in this e-course is some of the best I have seen. The only way you will not succeed after learning this is if you fail to take action and apply the principles in your life. For thousands of years successful people have used these secrets to manifest their dreams. Isn’t it your turn? If your ready to have a life filled with wealth, success, and happiness then click on the link below and start your journey to freedom. If you are ready to make a change, you can get instant access here! Now I understand you may not know me on a personal level so why trust what I say? Well, you don’t have to. You are protected with this course. If you decide within 60 days of purchase it just wasn’t for you, then you can get a full refund. This is one of the reasons why I am happy to do a review on this. I don’t like to give offers that I don’t believe in, don’t have a good history, I haven’t used, or don’t have some sort of protection to them. There are so many schemes and scams that it can be tough filtering through the good and the bad for the everyday person just looking to get ahead. Just the fact that this is Winter’s 2nd product should at least tell you that he is not a fly by night person. My goal is to offer you programs that make a difference. Some connect with certain people and others do not. The goal is to find what works best for you to get you to that next level. If this isn’t it, then no worries, I know I have some that can. Lets get you to a place in life where happiness outweighs everything else. I know we can do it, believe in yourself, I do.